Imagine my surprise when I received a message from etsy that my labia sculptures are “mature content” and the front image must be covered up. geez. really? they’re kind of abstract aren’t they? and made for healing anyway. Then a friend corrected my perceptions: yes, they’re pretty graphic. oh okay. 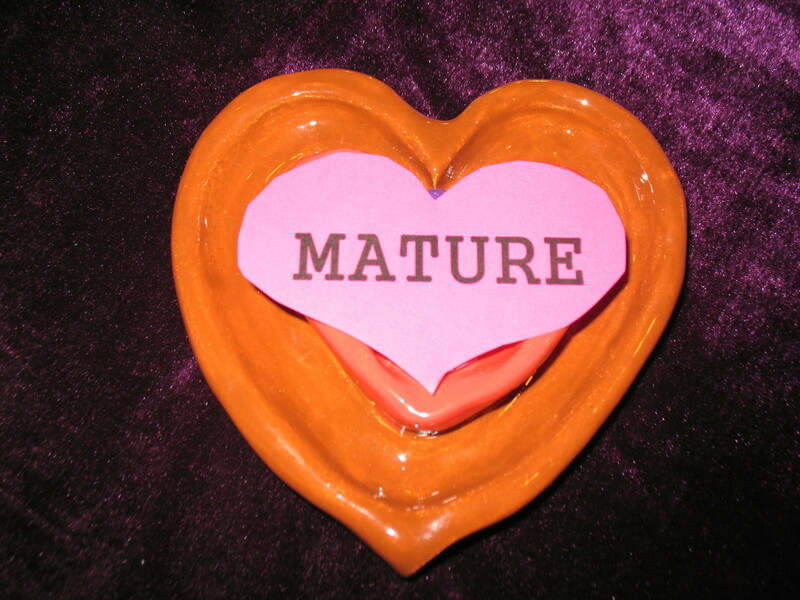 I printed the word “mature” on hot pink paper and cut the word out in the shape of heart (of course), and then took pictures of each labia sculpture with a heart covering them up. I hate covering up the girls. No shame here, just a bit of hiding for those delicate sensibilities. Who knows? Maybe curiosity will bring more views? What do you think of the coverings? Visit: http://www.etsy.com/shop/healinghearts9.